Forever Young: Favorite Quote from "The Little Prince"
Favorite Quote from "The Little Prince"
This book is recommended by friend of mine. 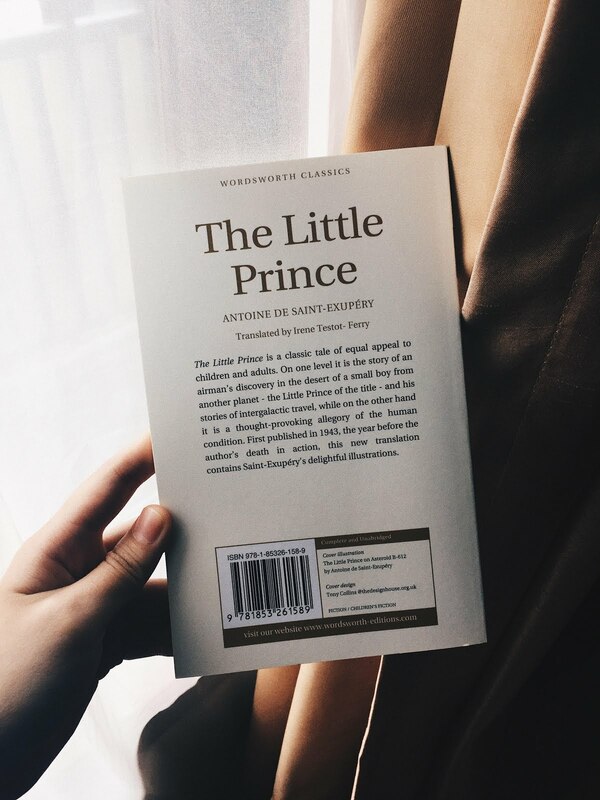 I have never ever read classic-genre book (my book genre is non-fiction, history, biography, sometimes fiction [if it seems a good book]) like this but this is waaaaaay too good! All grown-ups need to read this. This is the first book, they have launched the second book but I haven't buy it yet considering there's so many books I haven't read yet. So I need to finish those books before I buy a new one. I've been fascinated with several words/sentences in this book. 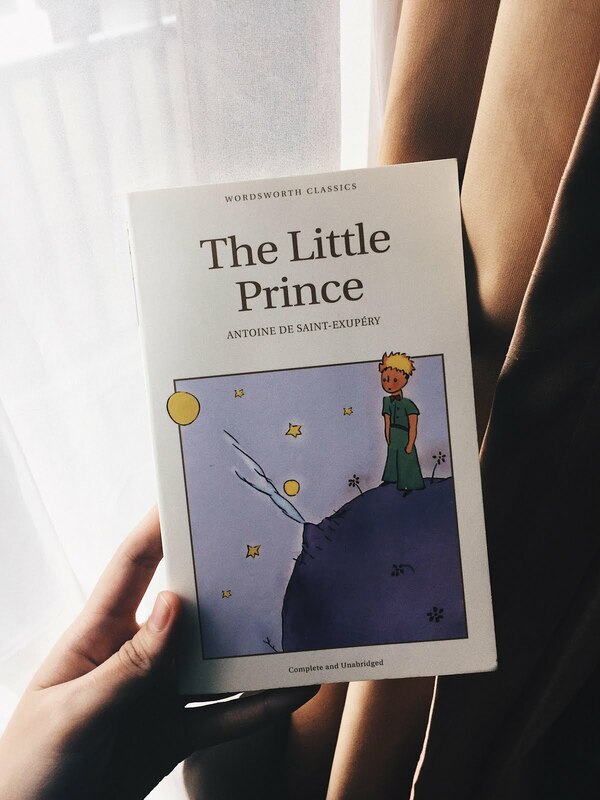 It is not just an ordinary children book, but it has some moral lesson that grown-ups should care and know about. "For she didn't want him to see her crying. She was a very proud flower..."
"It is far more difficult to judge oneself than to judge others. If you succeed in judging yourself rightly, then indeed you are very wise." "To admired means that you consider me the handsomest, the best dressed, the richest and the most intelligent man on this planet." "What is important is invisible..."
"But the eyes are blind. One must look with the heart." "The stars mean different hings to different people. For some they are nothing more than twinkling lights in the sky. For travelers they are guides. For scholars they are food for thought. For my businessman they are wealth. But for everyone the stars are silent. Except from now on just for you..."
"When you look up at the sky at night, since I shall be living on one of them and laughing on one of them, for you it will be as if all the stars were laughing. You and only you will have stars that can laugh!" Classic book always use another language to tell the story. The author chose it to tell the story by using their own words which spoken in their particular style. I google about classic book and find this quote from Italo Calvino in his book "Why Read the Classics?" in the 1980s: "a classic is a book that has never finished saying what it has to say."